Fair access to opportunity is critical to promoting well-being and advancement in any society. Accessing opportunity to better our lives and our children’s lives motivates us to move across town, across the country or across the world for better jobs, a quality education, a healthy environment, or safety from violence. Fair access to opportunity is also essential to produce a truly democratic society. In our metropolitan regions, opportunities are not equally distributed. 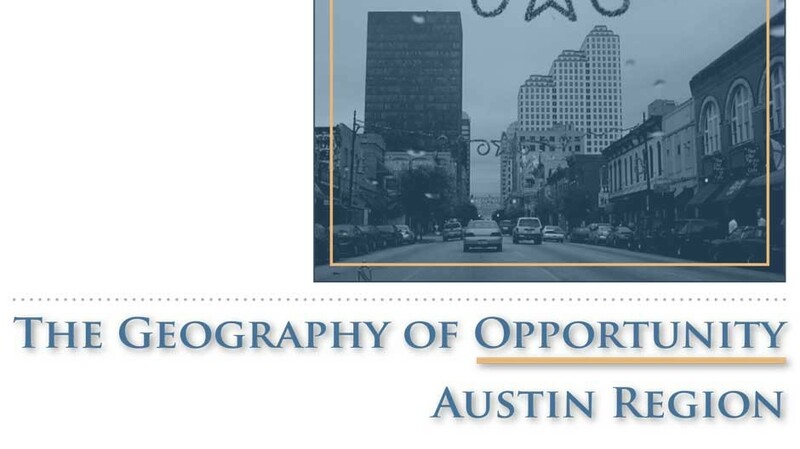 Opportunities are often geographically clustered in a few communities, while they are lacking or insufficient in others, creating a web of high- and low-opportunity neighborhoods across metropolitan regions. Due to geographic variation, not everyone has access to the critical opportunities needed to excel or advance in life. Many low-income communities, particularly communities of color, are often spatially isolated and segregated from critical opportunities such as high-performing schools, sustainable employment, health care and safe communities. This spatial segregation from opportunity not only limits the creative potential for individuals, but also reduces the creative capacity of the entire region’s most important asset, its people. This cumulative effect harms the health of the entire region, impacting everyone.